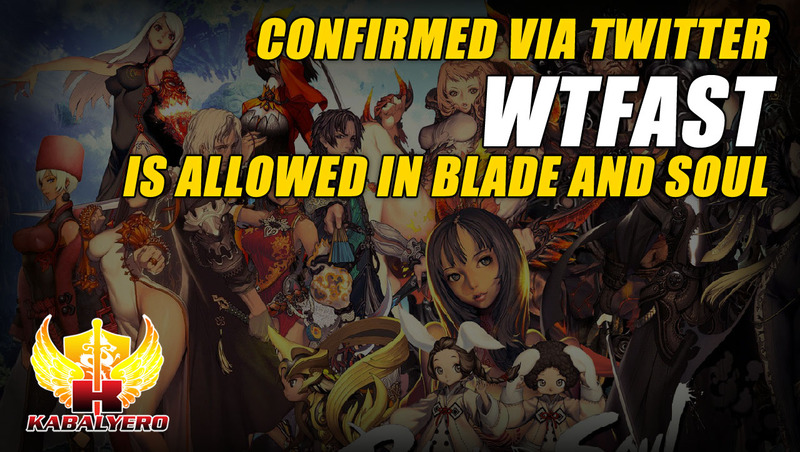 Confirmed Via Twitter • WTFast Is Allowed In Blade And Soul - KABALYERO - PLAY, BLOG & EARN! According to a Tweet Reply by the Official Blade And Soul Twitter Account, WTFast is allowed in Blade And Soul. First of all, I just want to say that I don't play Blade And Soul because I don't freaking like NCSoft. NCSoft is one of the worst game publishers out there but I do follow what's happening with WTFast. 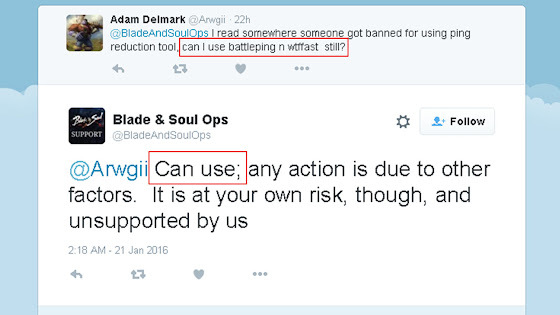 In Twitter, a certain Adam Delmark asked the official Blade And Soul Operations/Support Twitter account this question, and I quote, "@BladeAndSoulOps I read somewhere someone got banned for using ping reduction tool, can I use battleping n wtfast still?" The official Blade and Soul Operations/Support Twitter account replied with, and I quote, "Can use; any action is due to other factors. It is at your own risk, though, and unsupported by us." Based on the reply, it's confirmed that you can use WTFast in Blade And Soul. Those that were banned was because of other factors or reasons not related to WTFast. ► Are you blocked from playing the game you like because you're in a different country? If you are then break through the block with VyprVPN. Again, NCSoft is one of the worst publishers out there so take what any of their staff say with a grain of salt because it's not 100% guaranteed. Now, if you are still worried about your account getting banned from Blade And Soul then simply don't use any kind of ping boosters or lag killers like WTFast and wait a while because this whole thing about getting banned will eventully resolve itself. So, are you using WTFast in Blade And Soul and are you afraid of getting banned because of it? Post your answers as well as your comments, questions or reactions in the comments section below.